Long shrouded in secrecy, the life of Nikola Tesla is artfully illuminated in this fascinating feature film. Tesla, born in Serbia in 1856, is considered the father of our modern technological age and one of the greatest scientific minds that ever lived. He was an electrical engineer who changed the world with the invention of the AC (alternating current) induction motor, making the universal transmission and distribution of electricity possible. His achievements led to the discovery of radio and television as well as the development of the first hydroelectric dam, remote control, radar tracking for the military, and the manipulation of matter and energy. 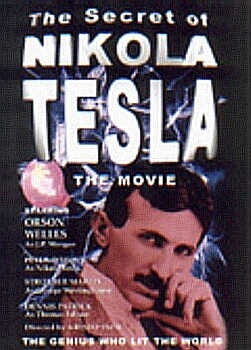 Encyclopedia Britannica lists Nikola Tesla as one of the most fascinating people in history. The Secret of Nikola Tesla, The Movie is a penetrating study of the life and mind of a "scientific superman" who, against all odds, dedicated his life to the task of designing and improving technology for the service and advancement of humanity.